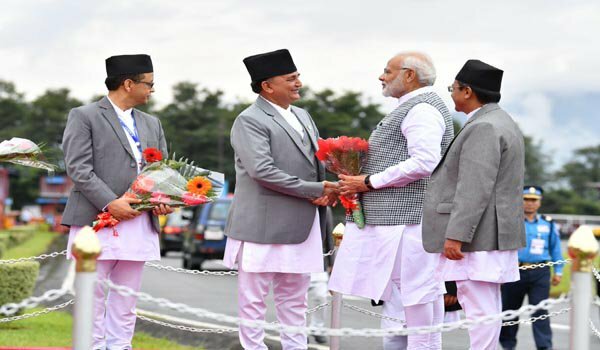 Kathmandu: Prime Minister Narendra Modi on Thursday arrived in Kathmandu to participate in the two-day fourth Bay of Bengal Initiative for Multi-Sectoral Technical and Economic Cooperation (BIMSTEC) summit, that gets underway later in the day. The Summit this year focuses on the theme ‘Towards a Peaceful, Prosperous and Sustainable Bay of Bengal Region.During the Summit, the Prime Minister will be interacting with various nation heads. He will interact with the leaders of Bangladesh, Bhutan, Myanmar, Sri Lanka and Thailand. In a bilateral meeting with Prime Minister of Nepal KP Sharma Oli, Mr Modi will review the progress made in the bilateral ties since his last visit to Nepal in May this year. Prime Minister Oli and Mr Modi will also inaugurate the Nepal Bharat Maitri Dharmashala at the Pashupatinath temple complex. According to diplomatic sources, Mr Modi is likely to hold one-on-one interaction with Bangladesh Prime Minister Sheikh Hasina also.